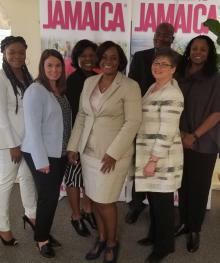 Jamaica is the ideal warm-weather destination for your clients. 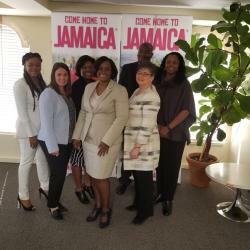 The best way to tell of all the wonderful destination offerings is to see the island for yourself on one of our agent familiarization (fam) tours! Priority will normally be given to the first qualified application received per agency. Regrettably, spouses and companions are not permitted on this program. You need to fully participate in the prescribed program of activities. Fam fee includes return airfare; accommodation in twin-bedded rooms; meals; ground transportation & sight-seeing. Regrettably, we are unable to accommodate requests for single rooms on these fams and there is no single supplement option. Cost is $350 each from Toronto. Costs: From Toronto: $250; From other Ontario; Quebec and Manitoba: $300; From Western and Atlantic Canada $350. Fam fee includes connectors; taxes and fees and one checked bag. Complete the Fam Application below to register. Application deadline: 1 month prior to the departure date. Selected applicants will be contacted 30 days before the fam departure date..